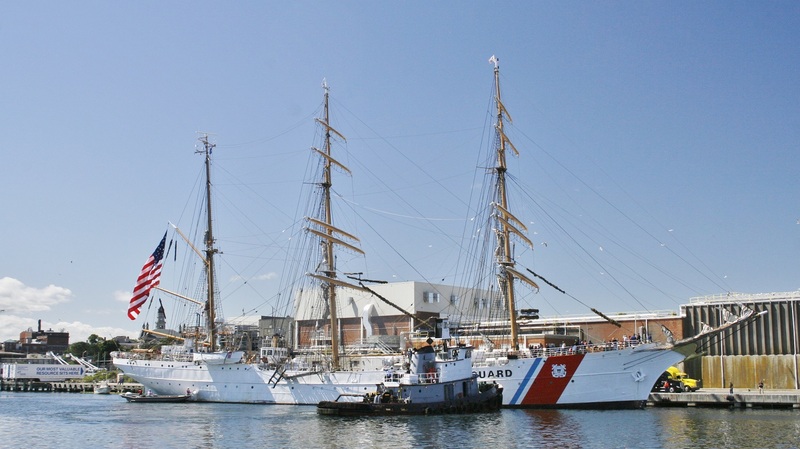 During this past Labor Day weekend, Burnham Associates, Inc. had the duty of docking the Coast Guard’s flagship, the USCGC Eagle. This elegant vessel required a delicate touch, and despite blustery winds, the Tug Aegean Sea, along with the 450 HP Scully’s Workboat, easily handled the challenge of navigating the Eagle through Gloucester Harbor in Gloucester, MA. With the docking coinciding with the annual Gloucester Schooner Festival, The Eagle, and BAI, had a very large audience for this undertaking. 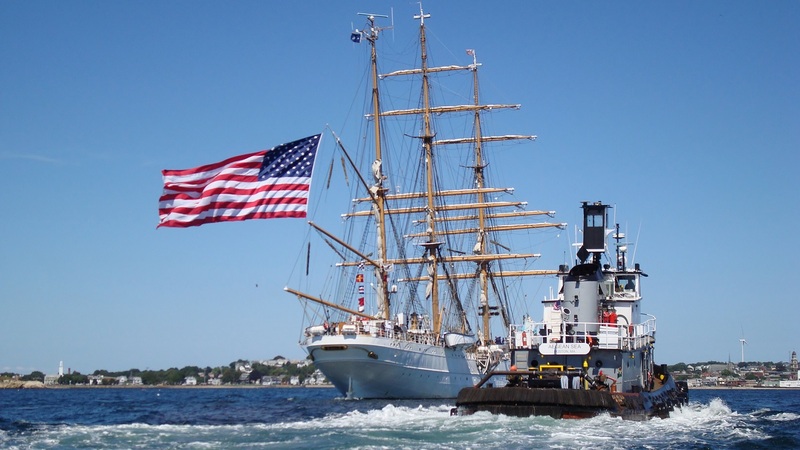 Revelers were out in force to welcome the Eagle to their historic fishing port, resulting in countless photographs and even an aerial video of the event, thanks to a local professional videographer and tall ship enthusiast, Craig Kimberley. USCG EAGLE ARRIVES IN GLOUCESTER 2014 – DRONE AERIALS from Craig Kimberley on Vimeo.